Countdown to The Day of The Doctor. November 18, 2013 August 8, 2015 JessLeave a Comment on Countdown to The Day of The Doctor. Here are a couple of interesting Doctor Who stuff that caught my eye today. Check out this parody that Youtube user TheThirstyHirsty has done of Christina Perri’s “A Thousand Years” titled “For Fifty Years.” Some fantastic work here, I wish I has some actual talent to make masterpieces like this. 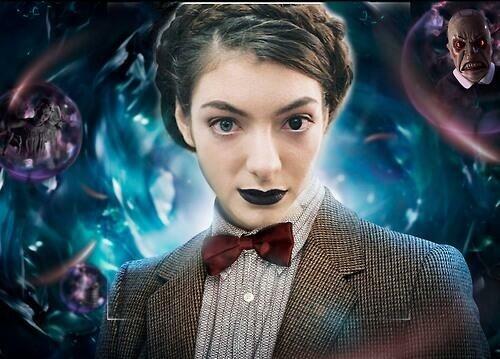 I saw this photo on Twitter of a Time Lorde. Cracked me up! I have been getting way to excited for Sunday. Actual conversation at work today as follows. Co-worker: So, Sunday eh . . . Doctor Who in 3D? Next 50th Surprise or 50th Lies? Day of the Doctor Spoiler.